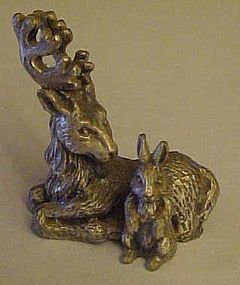 Pewter figurine of a large buck deer laying beside a rabbit. Measures just 1 1/2" tall. Excellent condition. This one is NOT marked Spoontiques, so maybe not that brand.